The more I consider the Lord’s encounter with the Samaritan woman at the well, the more I wonder how such an encounter with Jesus might take place in the context of our present American culture. It seems today as if many Americans – if not most – are constantly searching for something by which to be offended. It seems a majority of the American people presume the worst of intentions in each other and read more into the words and actions of others than may be warranted. As but one simple illustration of what I mean, consider what would happen today if the Lord Jesus said to an American woman, “you have had five husbands, and the one you have now is not your husband” (John 4:18). Would she answer, “Sir, I can see that you are a prophet,” or would she instead yell back, insisting, “Don’t judge me” (John 4:19)? And lest I be accused of sexism, the situation would be much the same if Jesus said to an American man, “you have had five wives, and the one you have now is not your wife.” In either case, would there be an acceptance of the truthfulness of his words, or would there instead be shouts of protest and a string of excuses? Why did Jesus’ encounter with the Samaritan woman unfold so differently than would likely be the case in our society today? The difference lies in the woman’s honesty; it can be found in her confession of her sinful situation. Whereas most Americans today feign contentment by saying such things as “I’m okay, you’re okay” and “God loves me the way I am,” the Samaritan woman recognized the restlessness in her heart and knew something must change if she was to find the happiness she desired. She knew the Lord called her to something greater, to something that would satisfy the deepest desires of her heart. She knew she could not satisfy these desires on her own; she had tried, and failed, five times over. She did not push away this necessary conversion, nor did she grumble against it (cf. Exodus 17:3); rather, she recognized that the love of God had been poured into her heart at that moment and she accepted his love (cf. Romans 5:5). This is why she could say of Jesus, “He told me everything I have done,” and could say so without taking offense at him (John 4:39). Can we say the same? Would we take offense at Jesus if he spoke so honestly about the situations of our lives (cf. Matthew 13:57)? Saint Bonaventure saw in the woman’s five husbands “the five heavy cravings of the senses,” “the five carnal senses, who ruled over her like a husband.” The first husband, he said, represented taste or gluttony. The second husband represented touch or lust. The third, smell, by which he meant a life of ease and comfort which leads to sloth. The fourth husband represented sight or greed because of envy. The fifth husband represented hearing or lying and gossiping. But what of that sixth man, the man with whom she lived who was not her husband? In this man Saint Bonaventure saw “error, which seduces and leads the soul astray.” We might not all live in adulterous relationships, but we surely have all been seduced by error and yielded to the sins of gluttony, lust, sloth, greed, lying, and gossiping. When the Lord Jesus approaches us in the silence of our hearts, in the Sacred Scriptures, or even in the words of another to reveal the secret of our sin, what is our response to him? Do we reject him? Do close our ears and our hearts to him? Do we honestly confess our sinfulness and reject the error of our ways so that his love might well up within our hearts through his forgiveness? When the Samaritan woman heard the voice of Jesus, she did not harden her heart, but allowed her heart to be softened by his words of truth, painful though it surely was (cf. Psalm 95:8). She was not so proud as to presume he spoke to offend her; she was not so proud as to take offense at him. Instead, she perceived in his words a summons to happiness and healing. In the example of this woman we see that “preaching does not bring about faith without the consent of the will and the will does not give its consent unless God kindles a spark in it.” As it was with the woman at the well, so it is with us. In the waters of baptism, each of us has received, as it were, that spark of God’s love; his love and the gift of faith were enkindled in our hearts through the Holy Spirit. Now it remains for us to fan that spark into flame and to call upon his gifts. Jesus first “enkindles a spark in [the Samaritan woman] by asking her to serve him by giving him a drink of water. This is something that the woman could minister to him since she had come to draw water.” What is it that the Lord Jesus asks of us? What does he ask us to do for him that we are capable of doing? In his last moments upon the Cross, Jesus said, “I thirst” (John 19:28). He made this cry to each one of us, but he does not ask us for physical water; rather, he asks for the water of our love so that we might quench his thirst. Jesus then “continues to kindle a spark in the woman by promising or offering her a gift,” by promising to give her “living water” which will become in those who drink of it “a spring of water welling up to eternal life” (John 4:10, 14). The water he desired to give to her – the water he desires to give to each of us – is the water of his love which poured forth from his pierced heart into the Sacraments (cf. John 19:34). If he so opened his heart to us, let us not be afraid to open our hearts to him in the sacraments so that his love might be poured into our hearts. Then, filled with his love, we, like that woman, can share our life’s story, the story of encounter with the Lord’s love and so lead our family, our friends, and even strangers to drink from the water of Jesus’ love. If we drink freely from his waters, we can take up Pope Francis’ invitation to discover “the joy of becoming artisans of reconciliation and instruments of peace in our daily lives.” By living as artisans or reconciliation and as instruments of peace, may we bring healing to our lives and to our society. Amen. Saint Bonaventure, Commentary on the Gospel of John, 4.33. Robert J. Karris, trans.  (Saint Bonaventure, New York: Franciscan Institute Publications, 2007), 237. Pope Francis, Angelus Address, 19 March 2017. As you can see, the clarity added by the inclusion of the Oxford comma - sometimes called the serial comma - can be rather helpful. The use of the Oxford comma can also be of great importance, as the Honorable David J. Barron, a Judge for the United States Court of Appeals of the First Circuit - recently decided. The canning, processing, preserving,freezing, drying, marketing, storing,packing for shipment or distribution of:(1) Agricultural produce;(2) Meat and fish products; and(3) Perishable foods. Oakhurst argued that “distribution of” was separate from “packing for shipment,” which would allow the company to claim exemption from paying its delivery drivers over time. Clearly, Oakhurst's interpretation is incorrect, as even the civil courts now recognize. Long live the Oxford comma! "Of you my heart has spoken, Seek his face" (Psalm 26:8). While other Bishops and Archbishops have seen fit to grant a dispensation from the law of abstinence on the Fridays of Lent to allow Catholics to eat meat this year on the memorial of Saint Patrick, His Excellency the Most Reverend Thomas John Paprocki has decided not to grant such a dispensation from the law. For reasons unclear to me, the State Journal-Register has decided this matter to be worthy of the front page. We celebrate their feasts, so as to receive from their lives a pattern of living. How ridiculous, to want to honor the saints on their days with eating, when we know that they got to heaven by fasting! 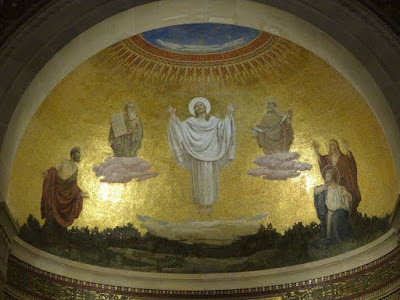 If we do not imitate the saints, but rather love the world and its glory; if we pamper our bodies with pleasure and amass money: then their justice will prove that we ought to be condemned (Sermon for the Fourth Sunday after Easter, 11). 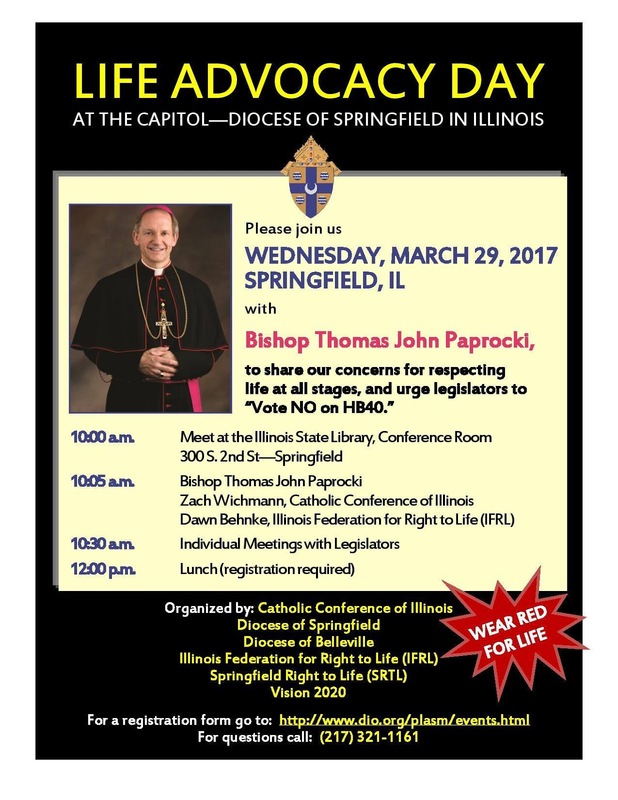 Bishop Paprocki, of course, is not alone in deciding not grant a dispensation this year. By my count of the 196 dioceses and archdioceses in the United States of America, according to a list compiled and updated by RoccoPalmo, the faithful in only 68 dioceses and archdiocese have been a granted a dispensation this year; that means that 128 bishops and archbishops have not granted a dispensation. The different disciplines across the nation – and even within the same state – have led some people to wonder why the Church does not have the same policy across the board. To this I would simply say that the universal policy is to abstain from meat. But even the universal law provides an exception to this requirement for those members of the faithful who belong to a diocese or a parish named in honor of Saint Patrick. For them, March 17th is not simply the liturgical memorial of a saint, but a liturgical solemnity and Catholics are not bound by the law of abstinence on solemnities (which is why everyone can eat meat when the Solemnity of Saint Joseph – March 19th – falls on a Friday of Lent). 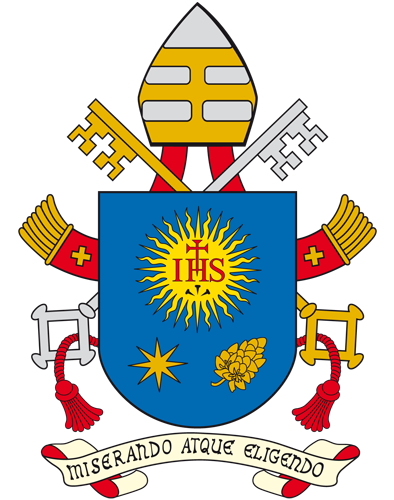 Bishops have different policies and disciplines in this matter because the Code of Canon Law provides them the power to grant dispensations from the law because of the power of binding and loosing that Christ Jesus gave to his Church. The use of this authority is an act of prudential judgment; some bishops judge it useful to dispense from the law of abstinence and some (many more) do not. I have never really understood why some people get upset if their bishop decides not to grant them a dispensation to eat meat on St. Patrick’s Day. Most – but not all – Catholics in the U.S.A. who want to eat meat to celebrate Saint Patrick want to eat corned beef, but the Irish do not eat corned beef on St. Patrick’s Day because corned beef is actually not an Irish dish, but a Jewish dish which Irish immigrants seem to have picked up in New York City. Better in this instance, I think, to follow the insight of Saint Anthony of Padua, though I should perhaps say that I dislike both corned beef and cabbage. DECATUR - A revival hosted by the Black Catholic Commission of the Diocese of Springfield in Illinois will be held at 7 p.m. Sunday, March 12 and 7 p.m. Monday, March13 at St. Patrick Church, 407 East Eldorado St., Decatur, IL. This event is open to the public in an effort to raise awareness and share the cultural heritage of African-Americans and Africans in the Church. Fr. David Jones, pastor of St. Benedict the African–East Parish, Chicago is the guest speaker for both evenings. Fr. Jones grew up in the Chicago area and was a member of St. Cecilia Parish. He attended Bradley University, and completed his bachelor degree at Grambling University. Fr. Jones spent some time in the corporate world before realizing that his heart was directed towards God and serving people. Fr. Jones’ motto is “To God Be the Glory!” Sunday evening’s topic, “Why I Came to Church” will feature the African Ensemble Choir. Monday evening is “Why I Remain in Church” with music provided by a composite of choir members from Catholic churches in Decatur. This revival is a continuation of a revival project started by Fr. Ferdinand Cheri, former member of the diocesan Black Catholic Commission. Fr. Cheri has since been appointed an auxiliary bishop for the Archdiocese of New Orleans. The goals of the revival are: to share the Word of God through the lens of the black culture for all members of the community; to support evangelization of black youth and young adults; for liturgical efforts of the Black Catholic Commission; and to promote an outreach to African-Americans and Africans within the diocesan boundaries. 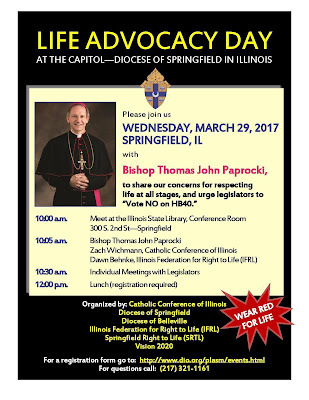 Donna Moore, Director for Pro-Life Activities and Special Ministries for the Diocese of Springfield in Illinois wants everyone to feel welcomed to attend. “It will be an enriching experience for everyone. Please come and be blessed,” said Moore. N.B. : A few grammatical and editorial corrections have been made to the text of the following homily. So many of our fellow members of the Body of Christ experience daily something of what the Lord Jesus experienced in the desert, “harsh conditions, utter loneliness, and the gnawing discomforts of hunger” and, more than this, the “assaults of [our] archenemy, the devil.” We make their situation more desperate by frequently giving too little thought to them. These words of the Holy Father stand as a stark challenge for each us during these days of Lent. Grateful for the riches of his merciful love and confident in the certainty that “because [Jesus] himself has suffered and been tempted, he is able to help those who are tempted,” so many of our brothers and sisters willingly endure great hardships for the sake of his name, while we all too often grumble about not being allowed to eat meat one day of the week, which we sometimes forget or even give in to social pressure (Hebrews 2:18). It rather puts things in perspective, does it not? Some Catholics seem to be under the curious impression that they must eat fish on Fridays during Lent, which, of course, is incorrect. While we are obliged to abstain from eating meat each Lenten Friday, this does not mean we have to eat fish; though the eating of fish has because customary, it is not required. Here many ask why we are allowed to eat fish and not meat. The medieval Church [that is, the Catholic Church] used to restrict the eating of meat on Wednesdays, Fridays, and Saturdays, as well as in Advent and Lent and on the vigils on certain saints' feast days. In 1549 Edward VI [a Protestant] reestablishes Fridays and Saturdays as nonmeat days, as well as Lent and other religious feasts. In 1563 Elizabeth's government [which was also Protestant] imposes fasting on Wednesdays too, including a prohibition on slaughtering animals. There is an important difference compared to pre-Reformation [that is, Catholic] times, however: avoidance of meat is no longer a religious observance but secular law. The purpose of fasting on Wednesdays is specifically to encourage the eating of fish, to support the fishing industry. It was, then, the Protestant government of England and not the Catholic Church that banned meat and allowed fish to support the fishmongers. If this is case, why did the Church allow our ancestors in the faith to eat fish, but not meat, on certain days? For the Church, the reason for the forbidding of meat and the allowing of fish was less temporal, much simpler, and more spiritual than that of the secular government. In his Liber Festivalis, which he wrote in the late 1400s, John Myre explains that “when God, for Adam’s sin, cursed the earth and the land, he cursed not the water; wherefore it is lawful for a man to eat in Lent that which cometh of the water.” In fact, centuries earlier, Saint Isidore of Seville, who died in 636, wrote in his De Ecclesiasticis Officiis, "We are certainly able to eat fish, because the Lord accepted one after the resurrection. Neither the savior nor the apostles have forbidden this." From this, we see that the non-eating of meat and the eating of fish was – and is – intended as both a penance, a small communal sacrifice offered lovingly to God, and a reminder of God's merciful and victorious love. In these days of Lent, then, let us not seek our own pleasure, but let us go with Jesus into the desert. Just as he fasted out of love for us, let us fast out of love for our persecuted brothers and sisters who grow more numerous each day. Let us then ask the Lord to help us acknowledge our sins, to forgive our sins, and to cleanse our hearts so that his compassion may be ours. Moreover, “let us pray for one another so that, by sharing in the victory of Christ, we may open our doors to the weak and poor. Then we will be able to experience and share to the full the joy of Easter.” Amen. Curtis Mitch and Edward Sri, Catholic Commentary on Sacred Scripture: The Gospel of Matthew (Grand Rapids, Michigan: Baker Academic, 2010), 74. Ian Mortimer, A Time Traveler’s Guide to Elizabethan England (New York: Penguin Books, 2012), 215. Saint Isidore of Seville, De Ecclesiasticis Officiis, 1.44.2. Saint Anthony of Padua, Sermon for the First Sunday of Lent, 4. In Paul Spilsbury, trans., Sermons for Sundays and Festivals, Vol. I: General Prologue, Sundays from Septuagesima to Pentecost (Padua: Edizioni Messaggero Padova, 2007), 73. Pope Francis, Message for Lent 2017, 3. In conjunction with the 163rd birthday of the Servant of God Father Augustus Tolton, His Excellency the Most Reverend Joseph N. Perry will lead a pilgrimage to significant sites in the Quincy area related to life of the nation's first publicly recognized African-American priest. The pilgrimage will begin in the late afternoon of Friday, March 31st and conclude in the late afternoon of Saturday, April 1st, Father Tolton's birthday. Pilgrims will visit Father Tolton's grave, the church in which he was baptized, the farm on which he and his family labored as slaves, the general area where his mother fled with her children across the Mississippi River, the site of the church where Father Tolton served as pastor, Quincy University where Father Tolton received his education, and St. Peter's school, which welcomed him as a boy. Along the way, pilgrims will learn about Father Tolton's life and example and seek his intercession. If you are interested in joining us on this pilgrimage, please let me know and I will send you the necessary information. Please also spread the word to anyone else who might be interested. 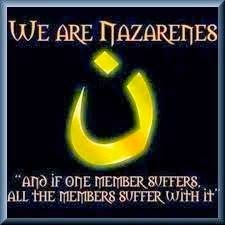 UPDATE (03-10-17): Immigration EO, round 2: Maybe Christians merely 'claim' to be persecuted by Islamic State? UPDATE (03-07-17): Where do ISIS Fighters Go When the Caliphate Falls?